First you have to connect to a Facebook account at our External Services Page, click on the "Facebook" button. It is always possible to remove or edit the connection in your Facebook Settings (Tab Business Integrations). 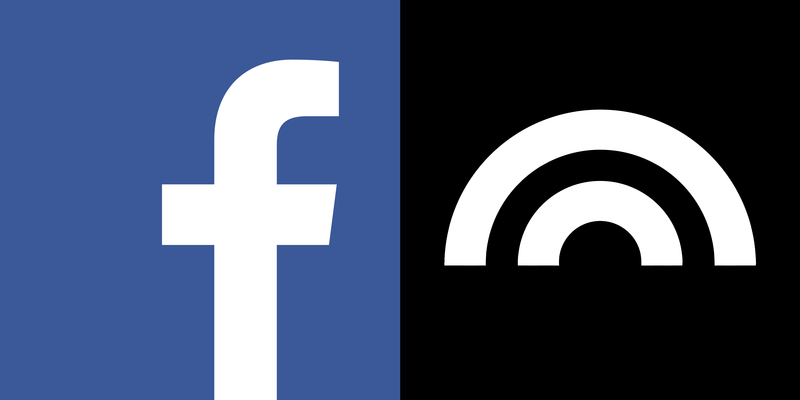 This workflow allows you to use Facebook for live streaming, import and process the audio/video with Auphonic, then publish a podcast and video version of your live video to any of our connected services. Similar to Youtube, it is possible to use Facebook for media file hosting. Exclude from News Feed: The exported video is visible in the videos tab of your Facebook Page/User (see for example Auphonic's video tab), but it is not posted to your news feed (you can do that later if you want). It is always possible to change the distribution/privacy and embeddable options later directly on Facebook. For example, you can export a video to Facebook as Secret and publish it to your news feed whenever you want. If your production is audio-only, we automatically generate a video track from the Cover Image and (possible) Chapter Images. Alternatively you can select an Audiogram Output File, if you want to add an Audiogram (audio waveform visualization) to your Facebook video - for details please see Auphonic Audiogram Generator. Auphonic Title and Description metadata fields are exported to Facebook as well. If you add Speech Recognition to your production, we create an SRT file with the speech recognition results and add it to your Facebook video as captions. Facebook can be used as a general video hosting service: even if you export videos as Secret, you will get a direct link to the video which can be shared or embedded in any third-party websites. Users without a Facebook account are also able to view these videos. In the example below, we automatically generate an Audiogram Video for an audio-only production, use our integrated Speech Recognition system to create captions and export the video as Secret to Facebook. Facebook needs some time to process an exported video (up to a few minutes) and the direct video link won't work before the processing is finished - please try again a bit later! On Facebook Pages, you can see the processing progress in your Video Library. 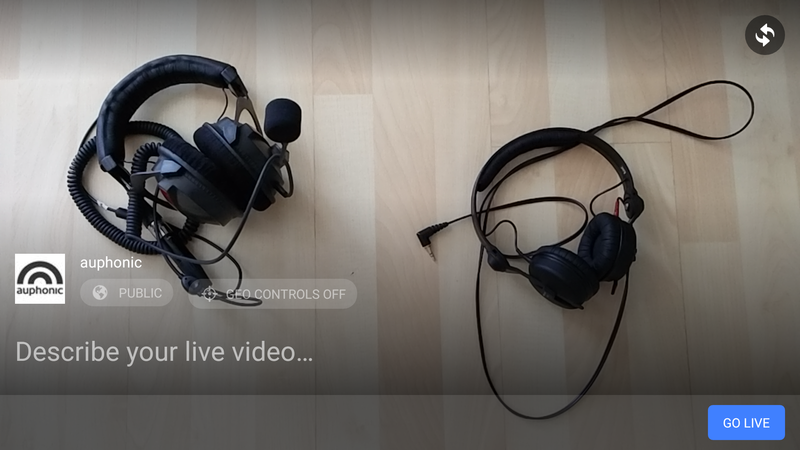 Facebook has many broadcasting tools to offer and is a perfect addition to Auphonic. Both systems and our other external services can be used to create automated processing and publishing workflows. Furthermore, the export and import to/from Facebook is also fully supported in the Auphonic API. Please contact us if you have any questions or further ideas!